The Campus Life team delivers high-quality professional services that create vibrant campus communities and positive student, staff and visitor experiences. It brings together Student Support, Sports, Residences, Catering, Conferencing and Commercial services. 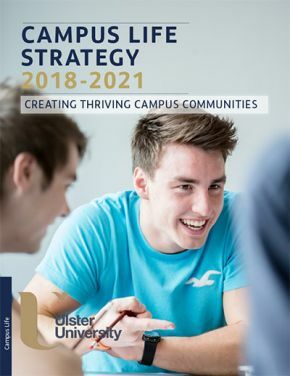 This Strategy is focused on delivering the best possible student, staff and visitor experience across the four campuses of Ulster University.